I’ve read 6 of my 12 TBR Challenge books so I’m on track, but honestly I was hoping to be ahead of the game. Still, can’t complain. A few of my remaining titles are classics and I’m looking forward to tackling them this summer. Six out of twelve is right on track! I realize now that I forgot to link to my actual TBR list (https://jenny-arch.com/2015/01/07/the-official-tbr-challenge/). I’ve read seven so far: Wild Girls, Kitchen Confidential, Graceling, Invisibility, The Art of Fielding, The Waterproof Bible, and God’s Hospital. Which classics are you reading? I didn’t include any classics on my list. My classics are Walden, A Separate Peace, and Tender is the Night. Also one called The Home-Maker by Dorothy Canfield Fisher which is definitely old, but maybe not a classic. Ooh, I remember loving A Separate Peace in high school. Maybe I’ll re-read it – let me know when you start! 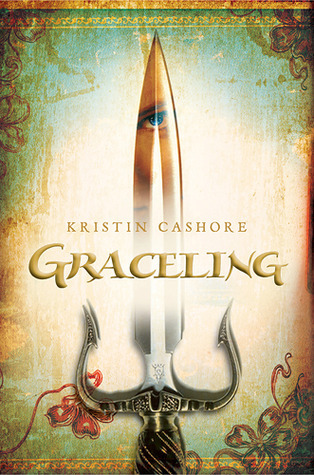 I loved Graceling. I thought it was a very nice read. I liked the strong female character.